Is Real Estate a Better Investment than Stocks? Though real estate and stocks are both viable investments with their own strengths and weaknesses, there are some concrete reasons for favoring real estate over stocks as a primary investment channel. So, here are the pros and cons of investing in real estate, as well as some of our thoughts on what can make real estate investing a smarter choice than putting all your money in the stock market. In an abstract sense, investing in the stock market is like investing in a company; when you buy a share of stock, you buy a very small piece of the company. But in the real world, buying a stock isn’t a tangible investment in a concrete sense. The very existence of stocks depends on a complex and fragile international economic system. So, when you invest your money in the stock market, you are investing in the continued existence of the global system as it currently stands. In contrast, an investment in real estate is an investment in a physical asset that you can touch and experience in the real world. 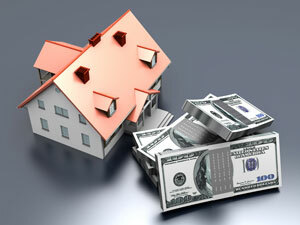 Real estate investments can lead to property ownership. And unlike owning a stock, you can touch, see, and even live in what you bought as a real estate investor. While the economics of stocks and bonds are relatively modern in the larger view of human history, property ownership is a much older form of investing that’s less fragile. While stock traders may not care that their stocks don’t produce ownership in a physical asset, most real estate investors are investing for the long term, and many take comfort in the fact that their property investments are tangible. For the most part, investors in stocks usually invest in a variety of companies, some of which have high share prices. Compared to real estate, though, an investor can begin investing in stocks with just a few dollars, rather than the thousands of dollars required for a small real estate investment. Investing in real estate can feel daunting due to the large initial investment. But, experienced real estate investors learn that it doesn’t necessarily require a lot of cash to purchase a real estate investment, especially if you already own a few investment properties. Real estate markets can be extremely volatile in the short run, but from a macro view, real estate is an incredibly stable investment with definite advantages over stocks. Since real estate investments often keep pace with inflation, while also generating consistent income during times of economic downturn, the value of real estate investments typically rise over the long term, making real estate a very stable investment class. Stocks, on the other hand, are subject to issues that are beyond investors’ control. Wild swings in stock prices because of high frequency trading, computer glitches, and liquidity are a few reasons investors can lose a great deal of money in a matter of seconds for no apparent reason. And when there’s a stock market crash, the loses can be so severe that investors never recover. These days, investing in the stock market is an increasingly hands-off, automated, and easy endeavor. 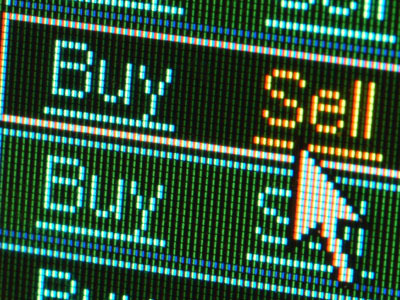 Gone are the days when you have to call a broker to trade stocks; now stock trades are electronic, and happen with the click of a mouse. Real estate, on the other hand, involves a lot more than clicking a mouse. Real estate flippers find, buy, rehab, and sell properties as quickly as possible. Investors in commercial and residential rental properties also find, buy, and rehab properties quickly, but they’re also responsible for long-term management and maintenance of the properties and tenants. When you invest in the stock market, you can’t get long-term financing to pay for the purchase, and your ability to use leverage is limited. But with real estate investments, there are numerous long-term financing solutions in addition to the possibility of using leverage to purchase additional properties. What’s the difference? Real estate is a stable tangible asset with a track record of producing massive wealth. Every investment class has pros and cons. But one of the unique things about real estate is that the “cons” help to make real estate investing so profitable. For some investors, stocks may be the best investment class. But for investors seeking to build their wealth over the long term with stable assets that produce generous profits and a steady stream of income, real estate investing is the best choice.